The Following Channel is from higher powers, Divine, the ancestral plane and is prophetic through Quornesha S. Lemon| Whether the Araripe Manakin Bird appears in dreams, visions, waking life or synchronicities, it is a sign and message that you are being called to take action. Whether this is in regards to a mission, purpose, or serving a higher calling is solely at your discretion. If there is a cause you’d like to submit your energy to, now would be the best time to follow suit of the urges/inclinations received. Instead of fighting others in defense of who you are, turn your energy to what will serve a greater purpose. You are being asked to let ‘folks’ talk all they want to. At the end of the day, what are they doing for themselves, if you’re constantly the topic of discussion. This truth however, does not relate to you, if you’re doing things that are out of order or balance with what is right or good. If the latter, then perhaps you should listen to the judgement of others and change your ways. It’s said best that ‘God can’t bless no mess, and he/she definitely won’t. Be sure that your actions are lining up with what you are teaching/preaching. Follow your intuition at this time. If healing is needed, seek it and honor the person interpreting the session for you. Good things come from when you and others are in an environment of respect. This bird is a message to remember your roots. Discover your true nature. Hate, wickedness, bigotry, isn’t anyone’s true nature. If you’ve got time to hate, you definitely have the energy for love and to be healed. It’s up to you which direction you choose. It is a testament of your character, either confirming or disowning it. The Following Channel is from higher powers, Divine, the ancestral plane and is prophetic through Quornesha S. Lemon| Whether the Red Hawk appears in dreams, visions, waking life or synchronicities, it is a sign and message that there are some anger, resentments and bitterness coming to the forefront for the purpose of healing. It is a sign of inner turmoil, rage/anger. And a message that you should not allow these emotions to control you. Seek peace + grace and an outlet for healing the traumas coming to the surface. It’s possible to do a soul recall/retrieval and to ask for protection and blessings once the healing process is done. Old wounds need healing now. The red hawk could also symbolize that you’re gifted in helping others emotionally. It’s imperative to see others with highest love that you’re working with. If they do not respect you, it’s best to send them on their way. Release the past, don’t allow it to make you bitter. Call on the angels to help you to receive gracefulness. It’s normal to feel frustrated and it’s not normal to dwell on it. Anger can also be a sign of the unhappiness of your ancestors, be sure to honor them. The Following Channel is from higher powers, Divine, the ancestral plane and is prophetic through Quornesha S. Lemon| Whether the Emu Bird appears in dreams, visions, waking life or synchronicities, it is a sign and message that you are to stand in your power, stand for what is yours. Wisdom has polarities...it does not serve the wicked and it sustains the righteous to overcome all trickery, evil or wrongdoing. An emu is a sign of a miracle being 'born' for you. This is not for the unrighteous who prey on the weaknesses of those that are on the side of right! Emu is significant of equality and Diversity. And doesn't serve as medicine for only one kind of people, but all. Again...those that stand for what is right. You can choose to stand for what is wrong..but you will not have the support of heaven and there's no telling when hell will be done with you and sell you out. Be aware of those you rise against. It could be an inevitable defeat when you're wrong. 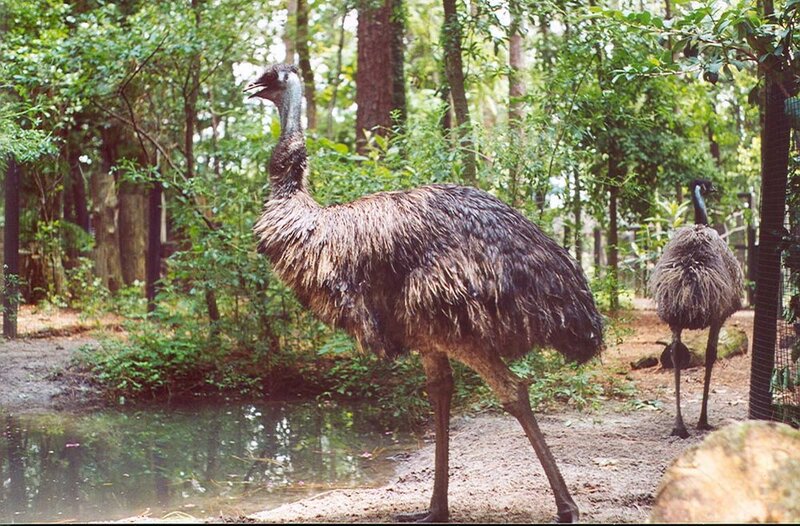 The Emu bird is Symbolic of power, empowerment, standing bravely. Being fearless. You may have recently been a ‘victim’ of someone’s trickery, or it is forewarning to trust what you feel. You could be told anything, while they do otherwise. This message isn't, obviously resonant with all whose paths it crosses, as perhaps you may come into contact with someone of this vernacular, mastery, flaw or skill. Therefore, it is a sign from the universe that you're meant to work with/avoid such a person. The Following Channel is from higher powers, Divine, the ancestral plane and is prophetic through Quornesha S. Lemon| Whether the Golden Pheasant appears in dreams, visions, waking life or synchronicities, it is a sign and message that some positive changes are taking place in your life. It is a message that things seem to look up in times where it feels bleakest. If they do not yet, it is then reassurance that these times are to come. The Golden Pheasant is also symbolic of some recognition and a wish being granted. It is also a message that, you will have to put in your best efforts and not slack off. It is a sign of some good forces working on your behalf. This is also a message to move from wishful thinking and think and act as though it was a reality. The Golden Pheasant is a message of what is possible. But be careful, as you can interfere with your own blessings listening to fears, doubts or worries that divert your intention or attention elsewhere. Listen to those who are experienced, but of course, not unsolicited, but what is for you is received. Know and learn the value of others’ energy and accept what they are worth. Know that we are met with the same measure we greet the world with and cannot have access to that or who we cannot respect. Honor all. It is a sign that things are working for your good. If not, you have work/healing to do. 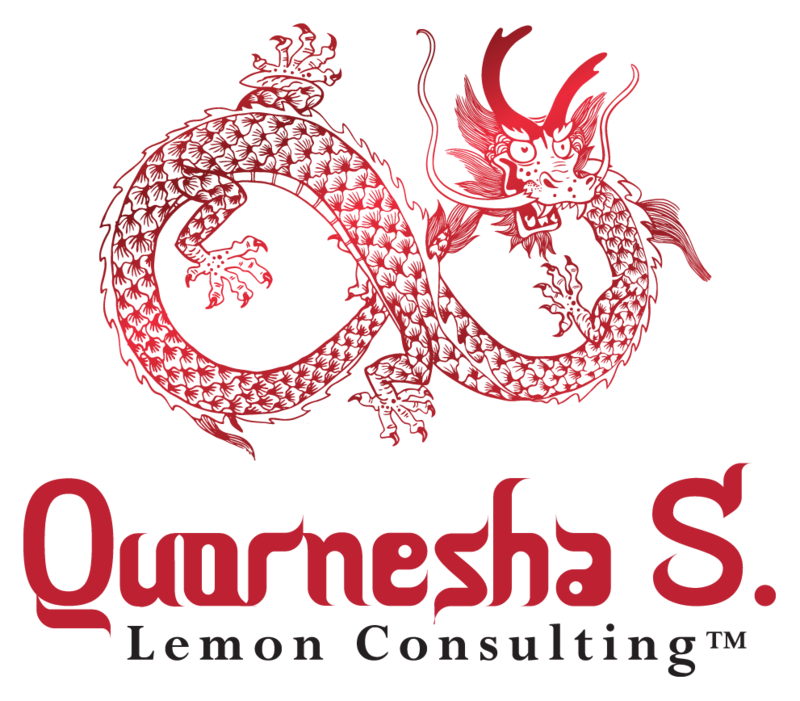 The Following Channel is from higher powers, Divine, the ancestral plane and is prophetic through Quornesha S. Lemon| Whether the Verreaux Eagle appears in dreams, visions, waking life or synchronicities, it is a sign and message that you will rise above pressing circumstances. It is a message that, even though enemies lie in wait for you to fail, that there is a higher power at work on your behalf to confuse them. Let go of all things with humor that do not serve you. The Verreaux Eagle is a Symbol of power and is about taking back authority of your mind or a material matter. It is a sign that you must seek justice in a situation and not give in so easily. If things do not look clear, or they appear bleak it’s okay to seek guidance from trusted and experienced advisor whose able to tell you the truth. In this sense, it’s best to seek clarity from a professional whose not attached to the situation. Meaning, involved directly in the situation. Verreaux Eagle is a message to continue building, that a storm will soon pass over. And you will feel great in being prepared. Don’t compete with others stand in your own light. Let low vibrational beings do what they do best and continue vibing on a level that brings good to you. You are not responsible for providing stability for others, you’re only responsible for your own. The Following Channel is from higher powers, Divine, the ancestral plane and is prophetic through Quornesha S. Lemon| Whether the California Condor appears in dreams, visions, waking life or synchronicities, it is a sign and message that, the steps you are taking or have taken are accounted for. And is also a notion for you to be sure that your belief systems are in alignment of what you know for sure and that which truly serves you. Intend on committing to a path that is true to you and not out of need or conformity to others. California condor is a promise of the changes to come. Use wisdom, discernment + self-empowerment in order to make the right choices. Pay attention to your surroundings and see beyond whatever is being presented or 'revealed'. Walk the talk and talk the walk. Invoke and/or call upon the medicine of the California Condor to assist you in expansions, new horizons, and moving forward. The Following Channel is from higher powers, Divine, the ancestral plane and is prophetic through Quornesha S. Lemon| Whether the Brown Thrasher Bird appears in dreams, visions, waking life or synchronicities, it is a sign and message that there are enemies, that are scratching their heads wondering why their attempts to thwart your plans have been unsuccessful. Something or someone from the beyond is protecting you. It's time to get clear on what you really want out of life for yourself and your household. It is time to focus on your own blessings while being of service. As the Brown Thrasher is a symbolic representation of stability, balance, harmony, and inclusivity. You are being asked to accept all forms of wisdom to use for the benefit of all involved. You can not have positivity without being willing to address the negative. Don't fall for tricks of positive thinking, don't venerate your truths or the truth of what you see to sell out for so-called 'good' vibes. See the situation for what it is. And make changes accordingly. The Brown Thrasher is also a representation of free will. If things look or appear opposing right now, then you need to be willing to put in the work necessary to allow things and situations to move with ease. Nothing will work unless you're willing to. If you don't like where you are right now, seek clarity before choosing and make choices that will suit your purpose entirely. + Don't jump ahead to conclusions, stay the course, with the most pertinent steps for the moment. The Following Channel is from higher powers, Divine, the ancestral plane and is prophetic through Quornesha S. Lemon| Whether the Toco Toucan appears in dreams, visions, waking life or synchronicities, it is a sign and message that you are to look beyond what is visible to the human eye and see things from your higher perspective. In other words, if there is any confusion at this time about anything, this will be lifted very shortly. You will either receive this clarity from a messenger or through yourself. Regardless the toco toucan reminds you that you are never your circumstances, or even your blessings, these things are what happen to and for you. The Toco Toucan is a message of travel, fortune, and favor, as much as insight, clarity, and looking at things deeply. Explore and be willing and receptive to other channels of information. Don't just choose to see things in one particular way. The key to moving forward is your receptiveness right now. It is a sign that the universe has chosen you for something great, and this information will be revealed to you soon enough. It is also a sign that some fears will have to lose their power. Call upon the Toco Toucan Spirit animal for clarity and balance of the channels. The Following Channel is from higher powers, Divine, the ancestral plane and is prophetic through Quornesha S. Lemon| Whether the Barred Owl appears in dreams, visions, waking life or synchronicities, it is a sign and message that with all things come a cost/price. Even if you are not the sacrifice for what you want, there are costs involved with everything that is needed, Success, fortune, respect, material matters, etc. You cannot have anything that you are unwilling to work for. Whether that work is easy or difficult. A cost must be paid. You cannot walk in your spiritual power without sacrificing the old aspects that may hinder your light. The Barred owl has appeared to remind you that those who are rising against you at this time, have a price to pay. If you're rising against a person in a way that is not in defense of a relevant offense that has already occurred, there's a price to pay. It is a reminder that others cannot reap what they have not sown. If they are sowing good seed, then they can reap. In other words, no one can inherit what is yours, what's meant for you shall not pass by you and into the hands of others. Vice versa. Stand in your power, stay seated. For only the Gods/Goddesses of the Most high can unseat what isn't meant not what is. When you're living your life righteously, know that the most high reminds you that you are truly powerful, beyond what you can see. The Barred owl is symbolic of mysticism, truth, and empowerment. Meditate and call upon it's medicine whenever needed. The Following Channel is from higher powers, Divine, the ancestral plane and is prophetic through Quornesha S. Lemon| Whether the Swainson's Hawk appears in dreams, visions, waking life or synchronicities, it is a sign and message that you are to call on its presence to assist you in areas where it seems others are offering their opinions or unsolicited perspectives or objectives. If others are overwhelming you at this time, the Swainson's Hawk is a reminder that we are all free to live our own individual life. Don't let others tell you who you are and who you are not. Don't expect to do good to others, so that they can do good to you in return. It does not work that way. Be good for no reason at all. And 'minister' to others when you feel led, and don't allow others to force their opinions onto you and definitely not you to them. The Swainson Hawk will speak life into a dying situation. And will often be a provider of its own. When others are too clingy and you know they are able to make their own, call in the Swainson Hawk to cut them off. NO matter who they are. Tune into the wisdom of the Hawk, through meditation, healing or journeying. It is also a sign that someone may be preying on your generosity and it is time to detach from them.